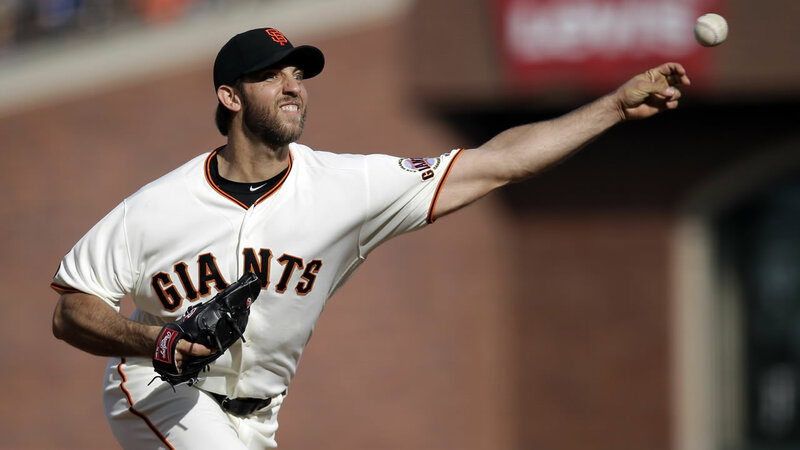 SAN FRANCISCO -- The San Francisco Giants aren't lighting up the scoreboard, but they're doing enough to keep piling up the wins. "It's not a bad day for Bum to pitch like that, shut them out and knock in the only run," Giants manager Bruce Bochy said. "That's a pretty good day." "It's a fun series," Bumgarner said. "It was a little bit of the playoff atmosphere I guess with all the hype and the talk leading up to these games. You've got to look past that, but it is fun." "We had to play our best ball because we're having a tough time offensively and their kid (Hendriks) was throwing the ball very well," Bochy said. "He comes from a funky angle, an angle you don't see that much," Cubs catcher David Ross said. "It crosses his body, and he was able to mix in that cutter. He got out of that big jam in the first with the bases loaded, made a big pitch at 3-2 to Russell, and from there he kind of just settled in. "He had the game out of control."